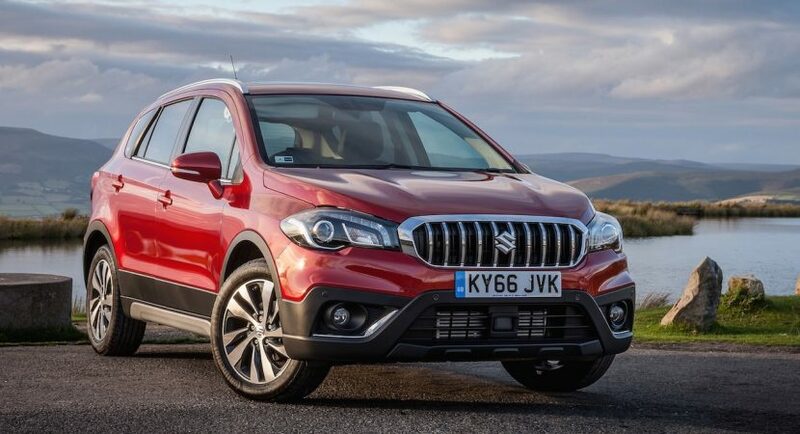 Suzuki has recently announced the availability of a facelifted version of the S-Cross SUV on the United Kingdom market, the model getting new design tweaks and a brand-new engines, which would make it more fuel-efficient. The 2017 Suzuki S-Cross will start sales this October, with prices to be announced prior to its debut, the model offering an interesting body styling with updated features. Amongst the most important highlights, we should mention the new LED taillights, updated grille layout, sharper lines as well as a new set of wheels which makes it stand-out from the crowd. The SUV is also looking bigger now, thanks to the increased ground clearance from 165 mm to 180 mm, making it more imposing and increasing its overall stance. In the engine department, the 2017 Suzuki S-Cross will be offered with a wide range of high-performance and fuel-efficient Boosterjet engines, the new addition being the fresh 1.0-liter turbo three-cylinder engine with a good 82 kW and 170 Nm of torque. As aforementioned, the new mill burns out less, coming with a ten-percentage improvement than the ongoing model. Also, the engine also offers more torque, between 2,000 rpm – 3,500 rpm. Besides the 1.0-liter three-cylinder engine, there are other engines to choose from, like the 1.4-liter Boosterjet turbo flat-four cylinder, the same one found on the new Vitara S-Turbo, this one outputting 103 kW and 220 Nm of torque. In case you don’t want these two mills, you can also add the 1.6-liter turbo-diesel engine, with 103 kW and 320 Nm of torque, which proves to be extremely fast, agile and fuel-efficient as well.